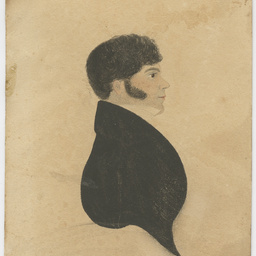 Watercolour portrait of a young man, painted by an unknown artist in 1833. 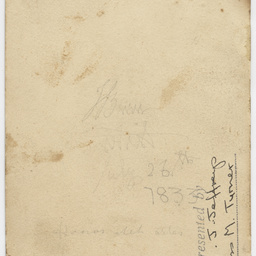 Very faint pencil notes on the verso read 'T Burr [indecipherable] July 26th 1833 / Harios alet artes(?)'. Possibly Thomas Burr, the Deputy Surveyor General. This picture may have been drawn by his father - George Dominicus Burr, Professor of Military Drawing at Royal Militar Academy, Sandhurst, England. Mount Burr near Millicent is named after GD Burr. [from information supplied].